How do you develop memorable characters, from your hero to your bad guys (who are people too!)? How do you make them leap off the page and land in a life or death struggle? How do you avoid TSTL (Too Stupid to Live) Syndrome? We’ll talk about that and what agents and publishers who specialize in mysteries are looking for. Make sure you bring samples of your work for discussion! Come and learn from a seasoned professional how to capture your characters on the page and your reader’s attention until the very last page. Author of the Geneva Chase Mystery Series, Thomas Kies lives and writes on a barrier island on the coast of North Carolina with his wife, Cindy, and Lilly, their Shih-Tzu. He has had a long career working for newspapers and magazines, primarily in New England and New York, and is currently working on his next novel, Graveyard Bay. 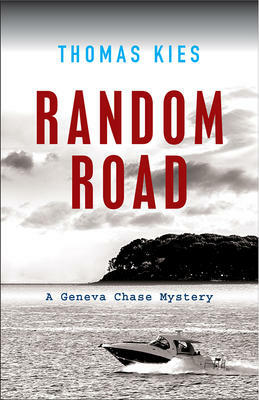 His first book, Random Road, is currently in its second hard-copy printing. His second mystery, Darkness Lane, is scheduled for release on June 5. Be sure to sign up early or you’ll pay an extra $5.00 at the door.